I espied this on Wedding Wire today and just had to share it with you. I just love a little cake. 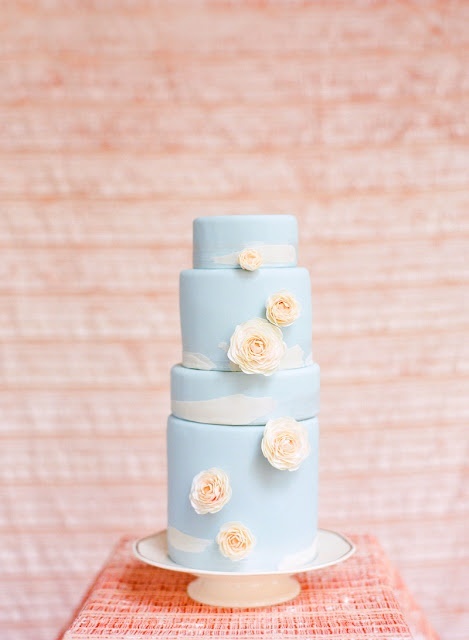 Now, this one is billed as a cake for a shower or a bridesmaids' luncheon, but having gone through the big wedding hoopla, I love the idea of a wedding intimate enough that this darling little cake would be enough for all your guests. 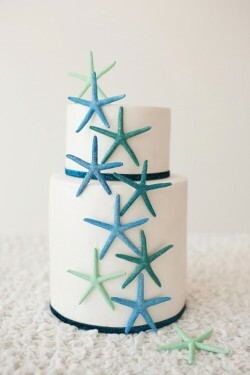 It’s beachy, and it’s sea glass blue and green. That makes it perfect. 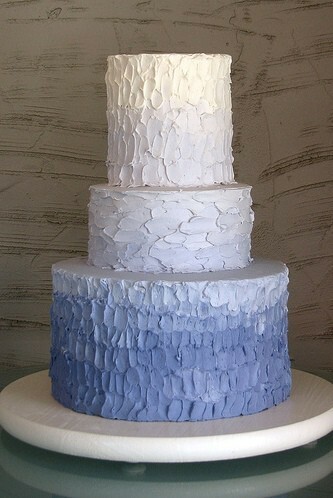 I love when I see a cake that I never, ever would have thought of, but when I see it, it’s like….YESSSSS. Yellow and grey are so hot right now. We are seeing them simply everywhere! And wedding cakes are no exception. 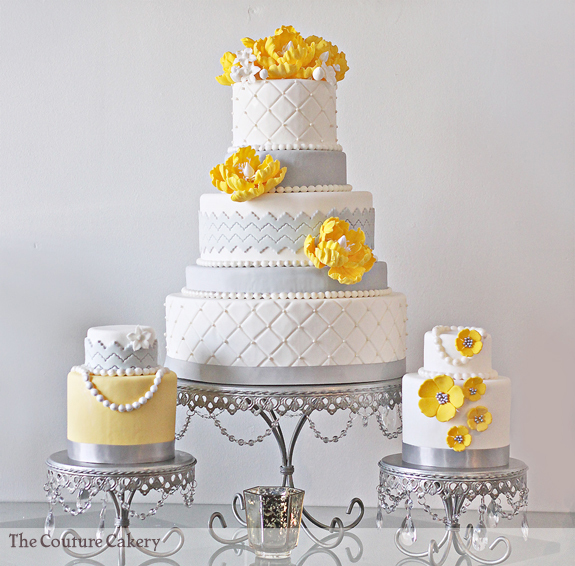 Isn’t this trio of cakes by Jasmine Clouser of The Couture Cakery darling? Where to start? 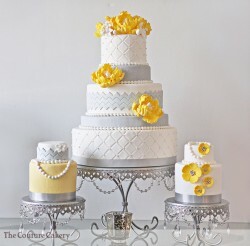 The color combo is enchanting; I especially love how Jasmine used both bold and pale shades of yellow. The quilting on the large cake is divine. And the pearls! 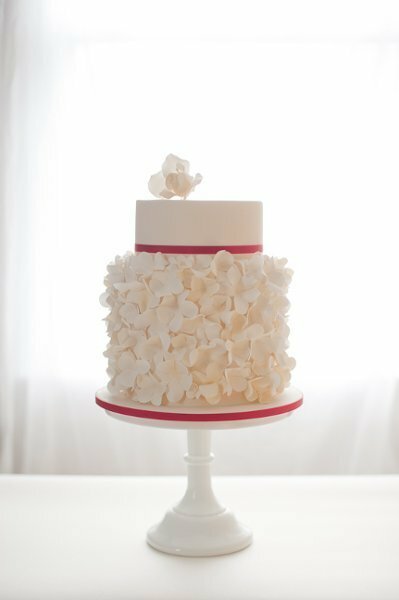 The varied heights of the cake rounds is awesome too, and keeps the whole cake from slipping into something too traditional. 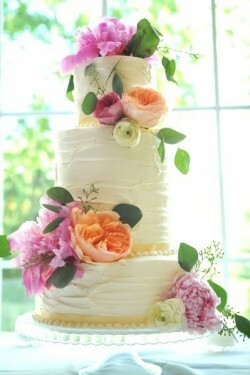 Add to it the juxtaposition of the flouncy peonies with the stylized simpler flowers, and it’s just all perfection! 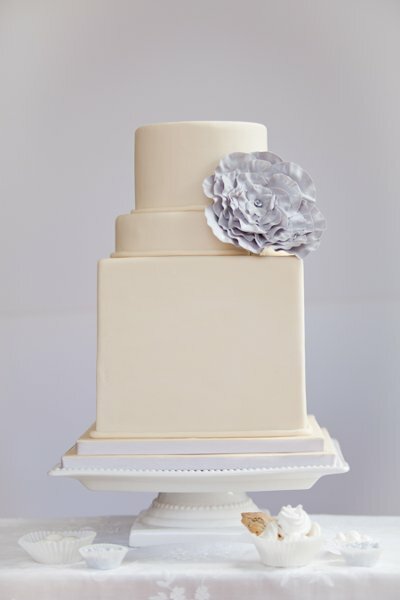 Jasmine created this cake trio for a bridal show earlier this year, in conjunction with Weddings by JDK and Persnickety Invitation Studio. The sweets table that came out of this dream team collaboration is simply breathtaking! Gorg! If you love these cakes, be sure to look at others that we’ve featured by Couture Cakery, like this Orange Spring Tiger Lily Wedding Cake, and this Indian Inspired Cake. 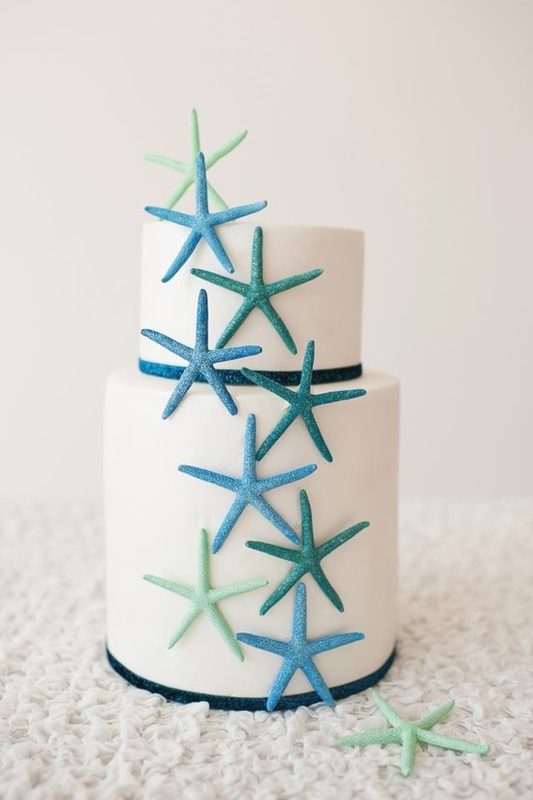 How do we feel about a rustic approach to icing, y’all? Here’s another page from the files of “The Guy Had Nothing to Do with Picking this Cake.” But I love it, so you’re gonna see it ANYWAY. 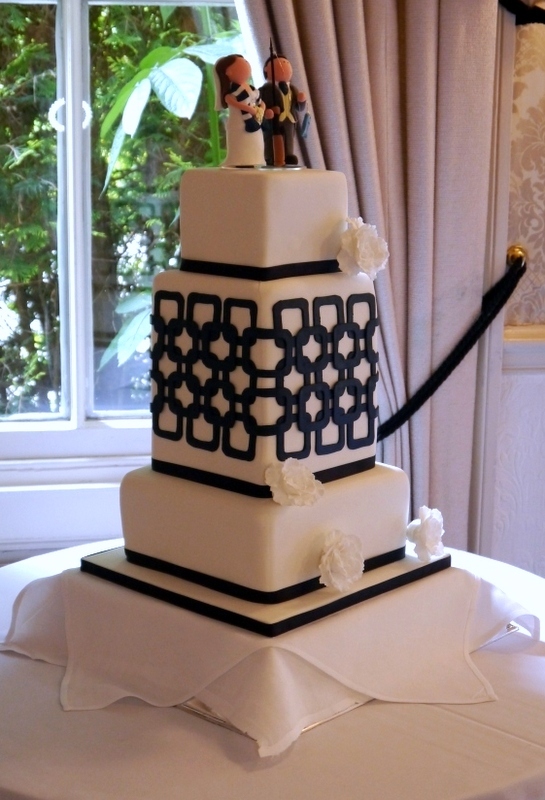 I leapt at the chance to feature this beautiful cake by Cakes By Beth in Manchester, UK. Isn’t it gorgeous? Are you there yet? Are you in that absent-minded, don’t-bother-me-with-real-life-details-like-laundry-and-oil-changes that spring incites? I can think of nothing but glorious days, warm breezes, picnics, and playing outside. I want to wear flowy dresses made from lots of linen, drink lemonade and crisp white wine, and gather floppy flowers. 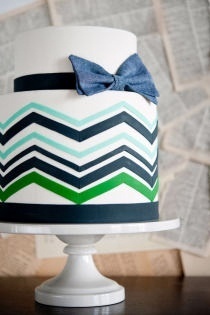 And here is the perfect cake to epitomize that vibe. 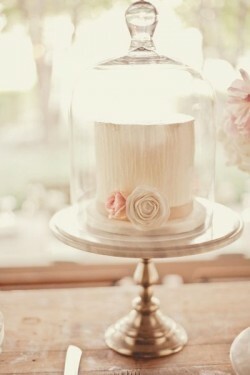 There is nothing that I like better than taking a little tradition, and twisting it on its head. You still have the elegance that you started with, but you end up with something totally new and unique.